EEEFFF’s artistic practice exists in a world where technology, data privacy and concepts of real and ephemeral communities come together. The Belarusian artist duo, who are now based in Russia, work to destabilise your digital experience in a time when polished GUI*, UX** and IPS*** aim to provide a sense of familiarity and security. 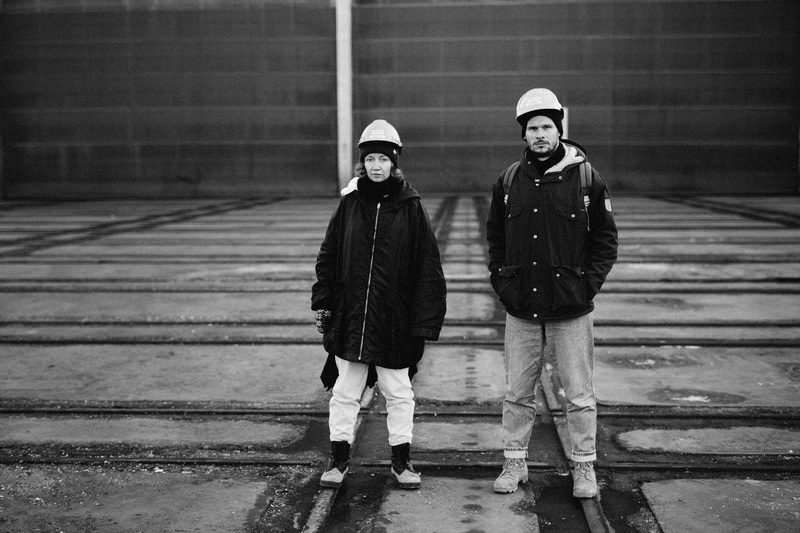 Dzina Zhuk and Nicolay Spesivstev joined Pikene på Broen and BAR International for their artist-in-residency journey in Murmansk and Kirkenes. The artists are in the north researching their project for the 2017 Barents Spektakel kicking off on the 8th of February 2017. The research took the artists from the heavy industrial systems of ship repairing company Kimek, to the ore processing plant of Syd-Varanger Gruve and finally, to high-tech local firms such as Norsk Test and the startup collective Tivoli North. The pair also had an insight into how the next generation of northern technical and programming minds build their skills at the local Lego League committee meeting. EEEFFF are the authors of Paranoiapp, a geolocating smartphone application which tracks users anonymously. The project was created in collaboration with artist Valia Fetisov. Download Paranoiapp from the App Store for iOS or Google Play for Android and check our EEEFFF’s amazing website.